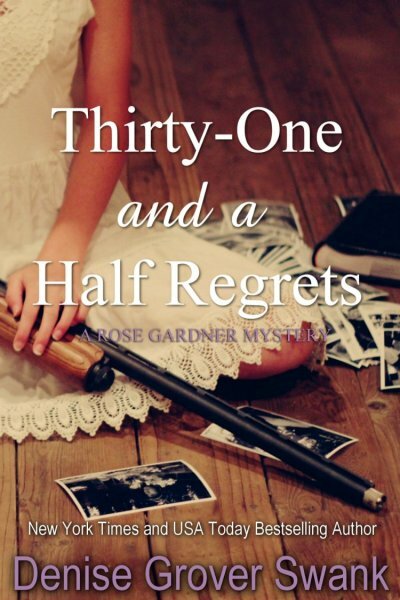 Cover Reveal for Thirty-One and a Half Regrets! Love it! Can’t wait for the release. Denise, you are one of my favorite authors!! Love the cover for 31 1/2 regrets. Seeing the cover I know Rose has more adventures ahead and more secrets to learn. So excited to read the Novella. I love this series, I can’t wait to read what happens next. I’d like to see the bad guys pay for their crimes, including Joe’s dad. I’ll be counting down the days until it’s here. I hope the audiobook will be available too. I love the the whole rose Gardner series. I am looking forward to the release of thirty one and half regrets. Thanks. What a fabulous series! Can’t wait till the next one to see what happens with Mason and Joe…thanks for writing such intriguing plots- I love trying to figure them out! you have to make these books into a movie! !